QUICKLY ADJUST AND REMOVE: Transfer belt is adjustable to accommodate waists up to 51. The durable metal buckle features locking teeth to secure the belt in the desired position and a quick release latch making removing the belt fast and easy. 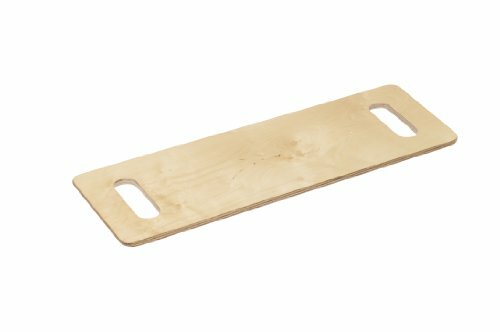 DMI Deluxe Wood Transfer Board This sturdy wood transfer board will help you as you transfer people from wheel chair to bed, chair, car or commode. The sealed and coated board allows easier transfers as you help a loved one slide across the glossy surface. The board is also valuable as a mobility aid for those who are living independently and need some assistance transferring from place to place. Protect Your Back as You Move People You may have seen transfer boards like this used in some hospitals as they transfer patients from place to place. Now you can have one in your home as well to aid you in transferring yourself or your loved ones. It takes pressure off your back as you help a person slide from one sitting position to the next without strenuous or dangerous lifting. This durable wood board is strong enough to handle up to 440 pounds so you know you have a stable surface to rely on. How to Use a Transfer Board Position one end of the board on the starting point and the other end on the destination to which you want to transfer such as the bed, chair, car or wheel chair. The tapered ends should be facing up to help the person slide onto the board. Try to keep the board as level as possible and be sure to lock any wheel chairs in place first. Help the person to get onto the board then assist them as they slide across it in short movements. We highly recommend using the DMI Gait Belt in conjunction with this board to help assist moving the person. Be sure the person is dry to avoid any friction while transferring. Here's How You Can Make Sure That Your Loved Ones & Patients Are Comfortable All The Time! If you are looking for a practical, convenient and comfortable nylon patient positioning bed sheet that will make turning, transferring and re-positioning your loved ones easier, you should look no further! 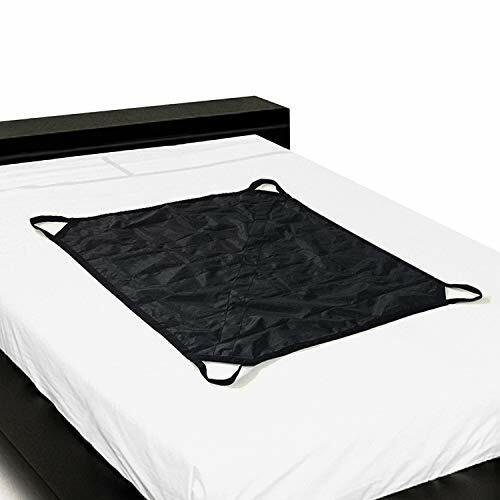 Presenting The ZHEEYI Premium 48" x 40" Nylon Positioning Bed Pad! Now you don't have to struggle or strain your back in order to transfer or reposition your patients thanks to our heavy-duty patient sheet, which is designed to help save your effort and protect your patients from accidents! Why Choose Our Positioning Pad? Because You Want To Make Sure That Your Loved Ones Are Comfortable - being hospitalized for weeks or months can take a toll on your loved ones. 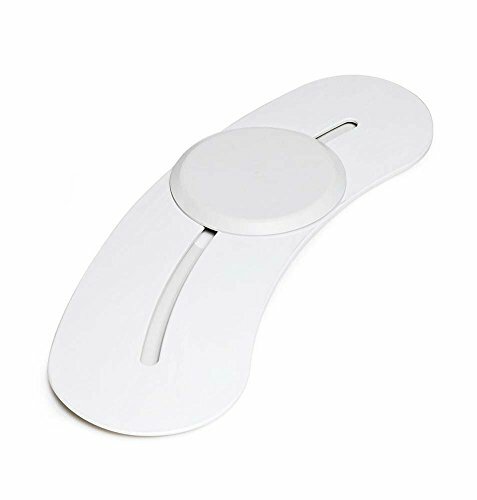 Now with the ZHEEYI positioning pad, you will be able to help them feel more comfortable by adjusting their position and helping them get up. 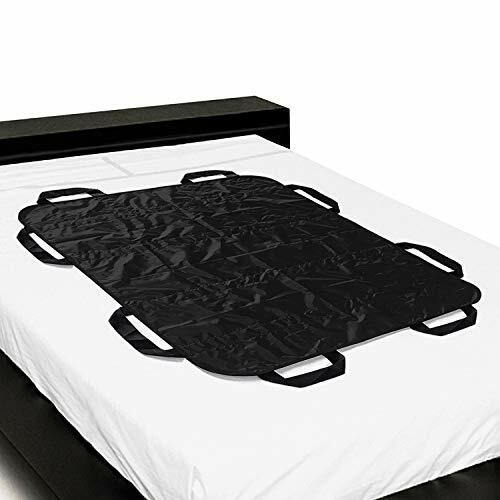 Because You Want To Make Transferring Your Patients As Hassle-Free And Painless As Possible - the ZHEEYI exclusive heavy-duty patient pad is ideal for transferring patients from the bed to the stretcher and vice versa. By using our handy patient sheet you can minimize strain on your back, eliminate patient discomfort and prevent accidents. ZHEEYI , Your assured choice! Click "Add To Cart" NOW & Get Your Positioning Patient Sheet With ZERO RISK! HELP YOUR LOVED ONES SIT UP & MOVE WITH CONFIDENCE with the ZHEEYI innovative patient positioning bed pad. This practical and ergonomic bed sheet will help you take care of your patients or loved ones who are hospitalized without the slightest discomfort. TURNING, REPOSITIONING & LIFTING MADE EASY! Our double-sided nylon fabric patient sheet is equipped with 8 heavy-duty, reinforced handles that will help you transfer, reposition, turn or lift any patient with relative ease. NEED A WATERPROOF & REUSABLE PATIENT SHEET? Unlike all those cheaply-made patient sheets, the ZHEEYI pad is made from lightweight nylon fabric, which is not only breathable, but also waterproof (nylon fabric is waterproof, nylon webbing is not waterproof). As a result, in an emergency, you can protect your sheets in case of any accidents. DISCOVER THE MOM-APPROVED PATIENT SHEET! Maintaining the ZHEEYI 48 x 40 bed sheet for patients is a breeze, since it's 100% machine-washable. All you have to do is slip it in your washing machine, tumble dry and reuse! GET YOUR PREMIUM PATIENT POSITIONING BED PAD NOW 100% RISK-FREE! In the improbable case that you are not 100% satisfied with your reliable and versatile patient turning sheet, we promise to offer you a prompt and full refund. No questions asked! What are you waiting for? Aiding in the transfer between a bed, chair, wheelchair and more, the wooden transfer board allows individuals to move with greater independence and protects caregivers from injury. A durable, smooth finish allows individuals to more easily slide to their destination with minimal friction. The compact transfer board is lightweight and portable for use at home and on the go. Providing greater leverage, the wooden transfer board features two cutaway handholds for a secure grip while moving across the board. Each handle is rounded and sealed for a smooth finish to protect hands and clothing. Gently tapered to provide easier transfers, the lightweight transfer board is 29" long for greater flexibility in positioning. Each corner is rounded to increase patient comfort during transfers and eliminate scratches and snags on furniture or upholstery. Supporting up to 440 pounds, the tapered transfer board is made from a strong wood that is sealed and coated to prevent cracks and chipping. The smooth finish eliminates snagged clothing, allowing patients and loved ones to easily slide across the surface. SAFE AND EASY TRANSFERS: Aiding in the transfer between a bed, chair, wheelchair and more, the wooden transfer board allows individuals to move with greater independence and protects caregivers from injury. A durable, smooth finish allows individuals to more easily slide to their destination with minimal friction. The compact transfer board is lightweight and portable for use at home and on the go. DUAL CUTOUT HANDLES: Providing greater leverage, the wooden transfer board features two cutaway handholds for a secure grip while moving across the board. Each handle is rounded and sealed for a smooth finish to protect hands and clothing. 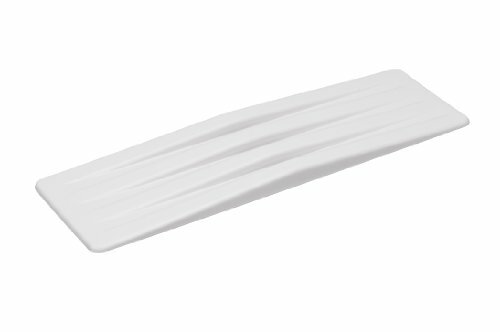 TAPERED ENDS WITH ROUNDED CORNERS: Gently tapered to provide easier transfers, the lightweight transfer board is 29 long for greater flexibility in positioning. Each corner is rounded to increase patient comfort during transfers and eliminate scratches and snags on furniture or upholstery. DURABLE SEALED WOOD: Supporting up to 440 pounds, the tapered transfer board is made from a strong wood that is sealed and coated to prevent cracks and chips. The smooth finish eliminates snagged clothing, allowing patients and loved ones to easily slide across the surface. Lifting patients from wheelchairs, hospital beds, chairs & physician tables is made easy by our world famous hospital & medical supplies. Practice professional patient care with the best! Upgraded with generous padding that prevents hand fatigue & pinching, our patient transfer belt is much easier to use than the typical transfer sling. The double loops allows multiple lifting options. thicker, longer & wider strap: Extra thick + longer & wider than the average lifting sling, this 8x47 patient transfer belt with handles padded for comfort keeps nursing professionals & their patients comfortable. Ideal size for patients that weigh between 100-300lbs. Transferring plus size patients can sometimes be tricky. Not with Patient Aid's transfer sling belt! Strong enough to lift up to 400lbs, this patient transfer hoist takes on the heavy lifting. Recommended by nurses who deal with nursing home patients, the elderly & the disabled, these patient transfer aids are extremely helpful. They make moving patients as simple as 1,2,3. Secure SGB-60B Transfer & Walking Gait Belt is designed to to provide support and safety to caregivers when walking or transferring fall risk patients, residents and loved ones. Gait belt features a durable EZ Release Buckle and convenient loop to hold excess belt length. Durable and comfortable 100% Cotton webbing construction is soft, durable, and designed to withstand the rigors of daily use in professional care facilities. Belt is simple to keep clean and sanitary as it can be machine washed and dried at high temperature. Weight Capacity: 280 lbs. Color: Black. Optional hand loops available (Search ASIN: B00A7AMDJO). Secure by Personal Safety Corporation...The brand trusted by thousands of concerned care facilities across the globe since 1991. Secure by Personal Safety Corporation 60 inch by 2 inch gait belt is an effective transfer aid that is designed to assist caregivers with walking or transferring fall risk patients and loved ones, while also helping to prevent caregiver injury to the back, etc. Presenting The ZHEEYI Premium 39" x 36" Nylon Positioning Bed Pad! TURNING, REPOSITIONING & LIFTING MADE EASY! Our double-sided nylon fabric patient sheet is equipped with 4 heavy-duty, reinforced handles that will help you transfer, reposition, turn or lift any patient with relative ease. DISCOVER THE MOM-APPROVED PATIENT SHEET! Maintaining the ZHEEYI 39 x 36 bed sheet for patients is a breeze, since it's 100% machine-washable. All you have to do is slip it in your washing machine, tumble dry and reuse! The Secure by Personal Safety Corp. STWB-62Y Transfer and Walking Belt is an essential caregiver aid that assists in safe patient transfers and ambulation, and helps prevent caregiver back injury. 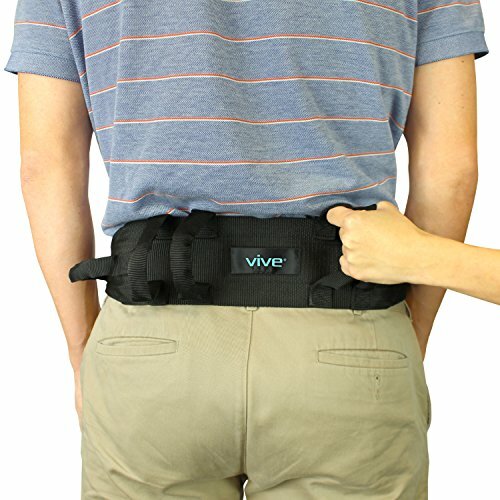 The six inch back section is wider than traditional gait belts allowing for greater contact area with the patient. Four vertical and three horizontal hand grips allow the caregiver to choose the best leverage point to safely handle a patient, resident or loved one. Our belt is expertly crafted from heavy duty, soft nylon material with reinforced stitching and durable quick release buckle. We offer only the highest quality gait belts to our valued customers. 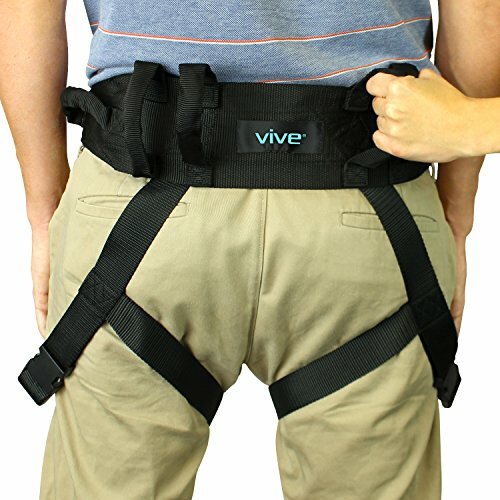 Do not be fooled by sellers of inferior copies of our unique gait belt design. Fits waist sizes 28" to 48"
Place your trust in Secure by Personal Safety Corporation, the brand trusted by over 7000 health care facilities across the US, Canada and Europe since 1991. For over 50 years, Sammons Preston has been the premier brand in aids to daily living and home care devices. Sammons Preston products are adaptive living aids that help people cope with their environment. Whether you are a Therapist or patient, someone with special needs, or just have a need to make life easier and more accessible, Sammons Preston products can help you. Occupational Therapists, physical Therapists, nurses, and other healthcare professionals rely on Sammons Preston adaptive utensils, adaptive plates and silverware, nosey cups, reaches and grabbers, grab bars, sock pullers, shoe horns, dressing sticks, hip kits, leg lifters, back scrubbers, gait belts, wheelchair belts, trays, and wheelchair accessories. 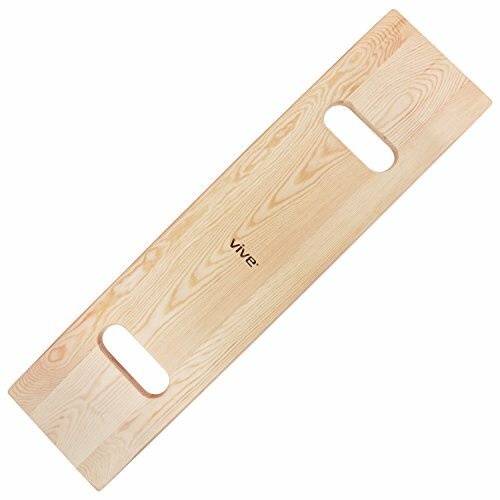 These are the same high quality professional products used in hospitals, clinics, and nursing homes., Wooden Board with Handles, 35" Long and Strong Wood Slider Board with 600 lbs. Capacity,. QUICK ON AND OFF BUCKLES: Quickly and easily adjust the belt for a customized fit up to 55 in circumference. The durable metal buckle has teeth to secure the transfer belt until the quick release latch is activated. Leg straps are secured with easy to use plastic buckles that fully adjustable for the perfect fit. The BeasyTrans Original 40-inch transfer board is ideal for automobile transfers. The longer length accommodates transfers in areas where space is not an issue such as wheelchair to bed. This model has been used successfully in boosting or re-positioning patients in bed. Drive Medical Lifestyle Transfer Board with Hand Grips, 24"
Not just a simple Wheelchair Transfer Seat Pad! This Wheelchair Transfer Seat could works more than simply transferring. Total affordable weight of the item is 220 Pound. One Transfer belt lift pad can multiple usage! Turning over, moving from one bed to another, holding the disabled to go upstairs or downstairs, Shifting the patients get into or off the cars and ect. 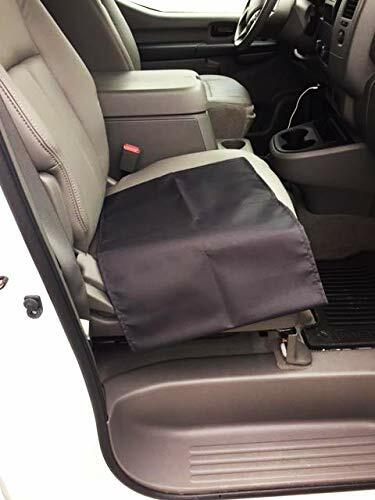 With items storing pockets design, the wheelchair transfer seat could used to collect items as well. Extra fixed band to tighten the waist and thigh to hold the patient safe. elderly people with poor ability to walk and ect. 1, Two or three caregivers are needed to move the patient, only one caregiver can not move the patient. 2, Not lay flat,use for up and down wheelchair or lift stairs. Tip: We found that there are the same products as ours in the market, but they are not genuine NEPPT brand products. Please be careful to purchase them. 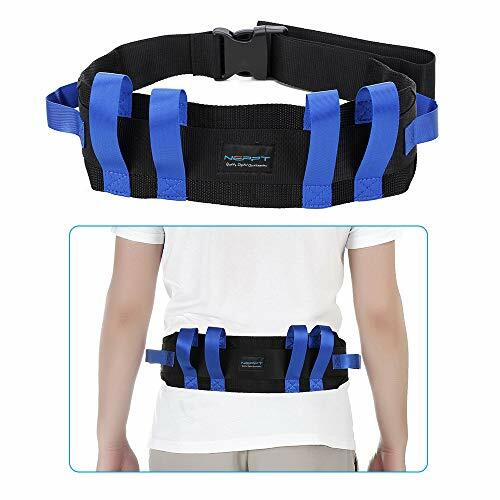 Lightweight transfer belt withstand the weight is 220 lb; Extra fixed band to tighten the waist and thigh to hold the patient safe. 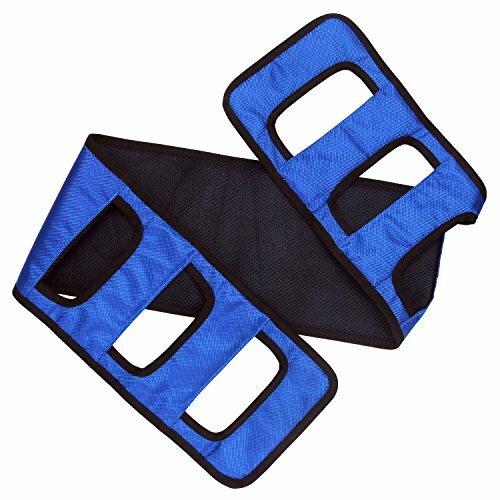 Simple and easy to use transfer pad for transferring patient from the wheelchair to the bed, car, or another chair. Transport board belt for Medical Transport,Healthcare Bed Transferring,Daily Living and Home Care Mobility Devices, Fit Wheelchair Users, Elderly, Bariatric Patient, Disabled, Handicap. * Latex free * Supports 100% of patients weight * Worn over clothes * Wont ride up during transfer * Provides caregiver great control during transfer * Helps reduce caregiver back strain * Use when gait belts just wont work * Machine wash/dry or wipe clean * One size fits most adults * Weight capacity: 250 lbs Average lead time for shipping: 21 + days. Tubular design and slick inner surface makes getting into and out of a vehicle, wheelchair or recliner much easier. 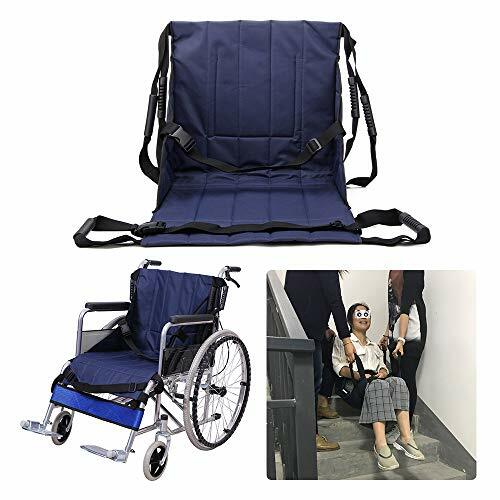 Ideal for the elderly, disabled, and handicapped who need assistance repositioning. Can be used as a Pediatric Slide Sheet. Very small 24 x 16 and lightweight and easy to fold away until needed. Comfortable to sit on and reduces caregiver back strain. Can be used for a variety of repositioning and transfer procedures. Machine washable and very easy to clean. 1 Year Limited Warranty. Swivel into and out of a car seat with ease. Safety transfer waist belts with release buckles can effectively help patients or loved ones safely transferring patients, walking and ambulation, prevent falls and other embarrassing situations. The six strong grab handles: four vertical and two horizontal handles allowing the caregiver to move the patient from the best everage point from any side and any angle, making the patient safer and more comfortable. Four inch back is wider than traditional gait belts for more comfort and greater contact area with the patient. The durable quick plastic release buckles of the waist allow the belt to be easily attached and separated. Great for home or hospital use: makes transferring patients from beds, chairs, wheelchairs and walker simple. This transfer belt is easy to clean, comfortable for the patient, and will not prone by wearing it, and won't tear even with hard use.Fits waist sizes 38 to 46 - Belt Dimensions: 46 x 4.The durable quick plastic release buckles of the waist allow the belt to be easily attached and separated. 1 Adopts nylon fabric and sandwich mesh fabric with built-in pearl cotton, which is more breathable and comfortable to wear.multiple uses and transfer sling is a universal transfer device with and applications applications that prevent the patient's skin from being worn while moving the patient. 2 Adopts built-in nylon fabric The reinforcement makes the conveyor belt stronger, prevents the conveyor belt from breaking, and uses it more safely. 3 Daily tools: This is a can help move paralyzed patients, obese patients, care for the elderly daily use of tools. 4 Non-slip inner surface helps keep the sling from riding up during the transfer. Two hand grips on either side provide the caregiver with a variety of leverage positions.The with handles enables nurses to adjust the postures of patients from. 5 Multiple uses: transfer sling is a universal transfer device with multiple uses and applications that prevent the patient's skin from being worn while moving the patient. 6 Easy to use: it has a number of soft and easy to grasp the thick handle, suitable for only one person in the case of care for the patient.Easy to carry it can be folded, rolled up and stored. A most versatile tool applications include: Move from or to bed Move up in bed Lift from the floor to a wheelchair or bed Move higher in wheelchair Move from wheelchair to car Transfer between bed and wheelchair and turn in bed. Transfer Gait Non-slip inner surface helps keep the sling from riding up during the transfer. Two hand grips on either side provide the caregiver with a variety of leverage positions.The with handles enables nurses to adjust the postures of patients from. Transfer Board Adopts built-in nylon fabric The reinforcement makes the conveyor belt stronger, prevents the conveyor belt from breaking, and uses it more safely. Gait Belt The transfer gait nursing sling can help people with physical inconveniences. Get up easily from a wheelchair. Get out of bed. Shift the patient. Change the pants for the patient. And so on. using tips.Please check it again before each use, if you discover any difference, stop using immediately!